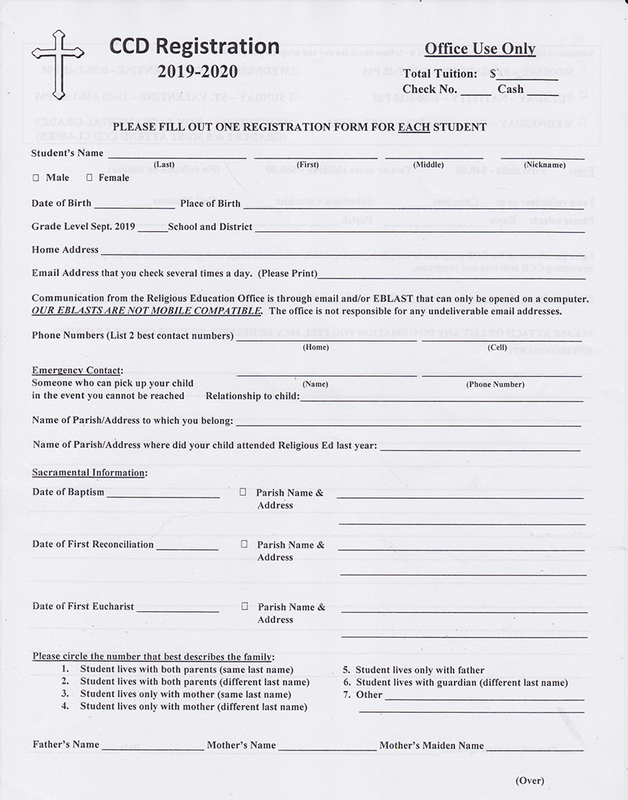 Please fill out the Registration Form and send it to the Saint Gabriel Religious Education Office at the Parish Rectory Building, care of Carol Vater. 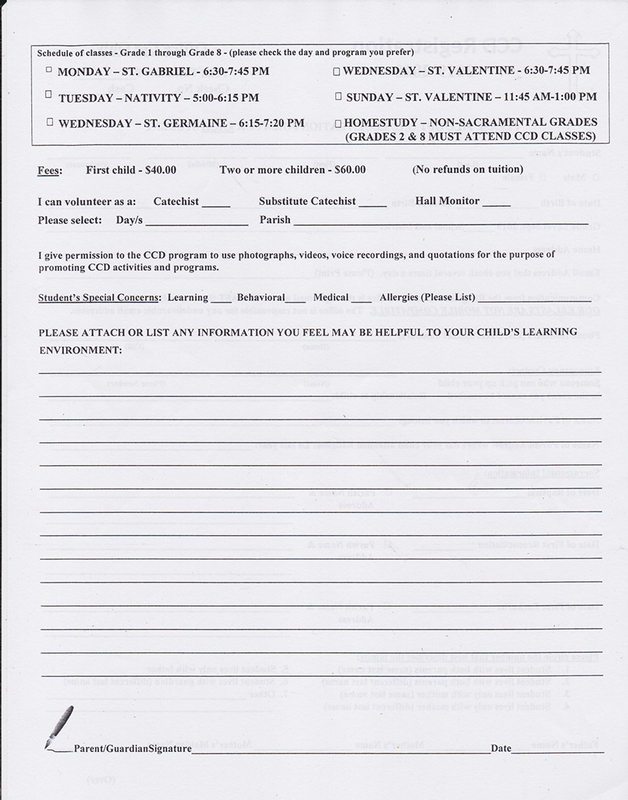 This year, CCD is offered on Monday, Tuesday, Wednesday and Sunday for our grouping. The hope is that you will register for the day of the week which best suits your family rather than registering for a church building. Homeschooling will be greatly reduced because of all of the offerings in our grouping. Where you child/children attend CCD has nothing to do with where they will receive their sacraments. Although the Confirmation program has been consolidated, the First Reconciliation and First Holy Communions have not (as of this date) and even if you register for one of the other churches, your child can make their sacrament at St. Gabriel’s (as of this date). If it is necessary for you to postdate your checks in order to register, you can do that. But….I do need the information about number of students in each class and each building to better prepare for next year. If over the summer, you need to switch days of the week, we can do that. Once the program starts, you will not be able to float between program sites.